To say that we like architecture and design would be an understatement. So when we find an artist who blends the two, we get pretty excited. 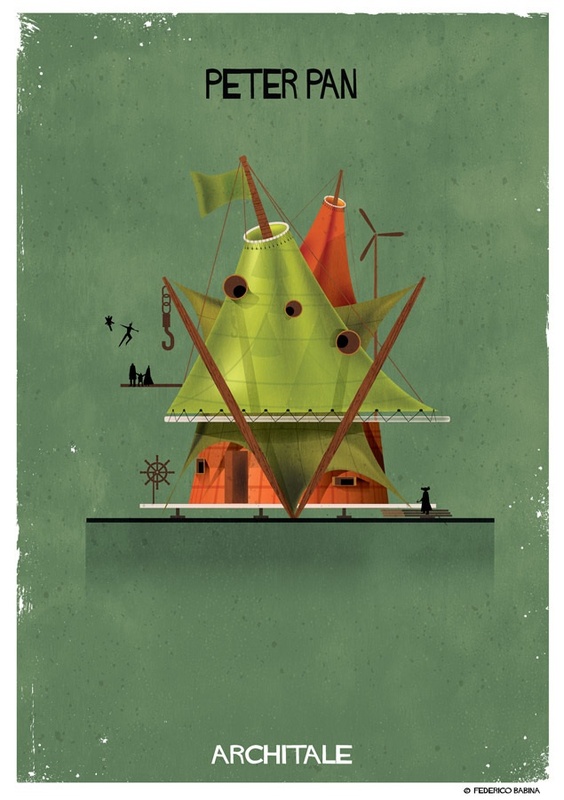 Such is the case with Italian illustrator/architecture aficionado, Federico Babina. 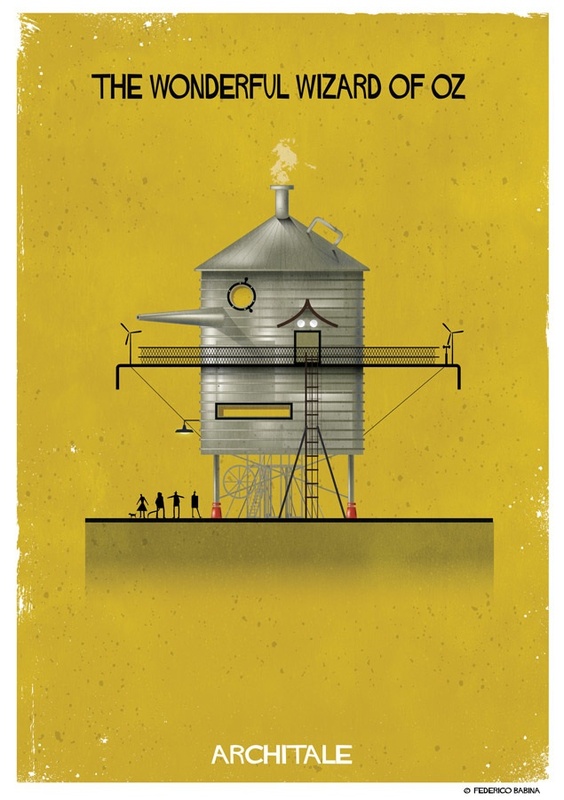 Federico Babina’s work is unmistakable. Not only for his pastel palettes, but for his use of architecture as a lens to other worlds. 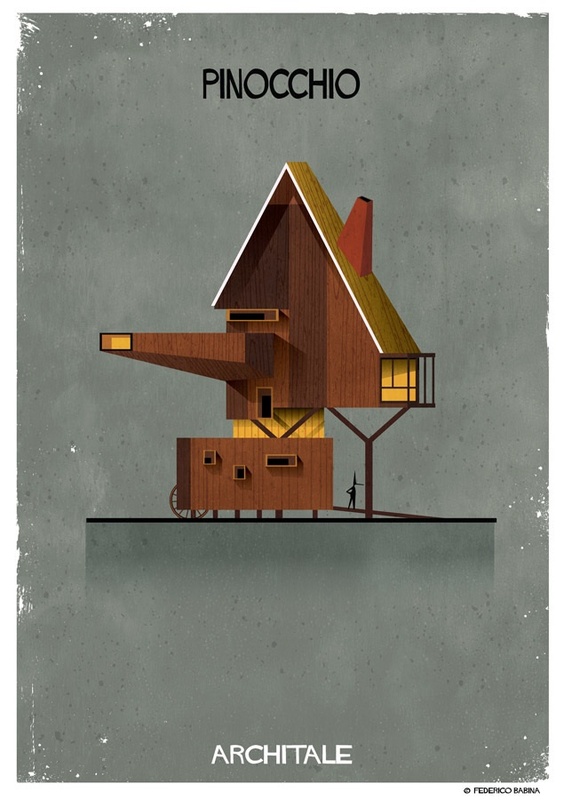 Whether his work features famous quotes, pop-culture cues or musical icons, illustrated-architecture is a mainstay. We’ve assembled our favorite Archi-series from Babina – we hope you like them as much as we do. Who doesn’t love a good story? 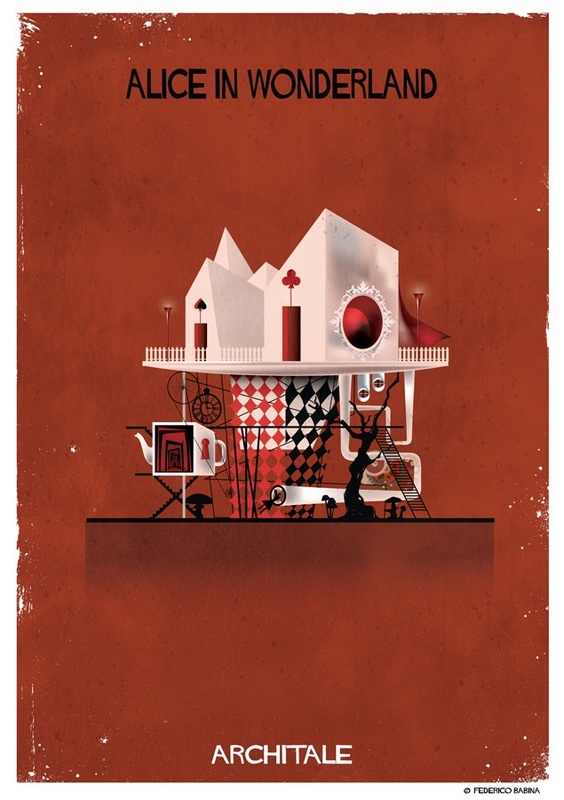 In Architale, Babina dusts off the fairytale favorites, imaging the home-lives of nursery-rhyme heroes. Space shapes our mentality, a concept that Archiatic explores while highlighting the link between creative people and psychological illness. By framing emotional states like depression and phobias alongside architectural forms, Babina reflects the negative stigmas tied to psychopathology. Babina goes all-in with his love of architecture in Archiplan, which recreates influential architects and their hallmark aesthetics. If a picture’s worth a thousand words, what’s the going rate for Illustrations? Regardless, Archiwriter embeds impactful quotes from authors within the walls of each illustration. The results read for themselves. Archiset plays to the cinefile crowd, delving into famous films to recreate their most memorable buildings. From Stanley Kubrick’s Shining to Lucasfilm/ Disney’s Star Wars, we’re shown the intrinsic tie between location and emotion, with characters’ personalities bleeding through the borders of the four walls. Babina transcribes 27 popular tracks from David Bowie, the Beatles, to Elvis, Mozart and more into his musically motivated series, Archimusic. “Music is an art form whose medium is sound and silence“. I can't believe we almost forgot this one - while most Babina illustrations focus on the facade, Interhero looks inward to our favorite Superheroes' inner-sanctums.